Thunderbird Country Club in Rancho Mirage is certainly accustomed to taking care of high profile guests, but none get any higher profile than the President of the United States, and that’s what happened recently when Barack Obama was in town. President Obama’s love of golf is well known—we hear that he’s somewhere around a 16-18 handicap—so it shouldn’t be any surprise that Air Force One is seen occasionally at Palm Springs International. Reports we saw said he played nine holes of golf at Porcupine Creek, Oracle founder Larry Ellison’s place in Rancho Mirage. I wonder if any single valley in the country has had as many presidential visits and homes as our area. President Eisenhower is, of course, one of our most famous aficionados, but he wasn’t the first to discover the area. Herbert Hoover was here in 1936 and FDR was in La Quinta before WWII. And after his years in the White House, Gerald Ford settled in the area. While you might not find yourself in a foursome with a former president, you will certainly be in good company when you golf in the La Quinta, Indian Wells or the greater Palm Springs area. And, whether you’re looking for a retirement home, second home or just a great place to live, this is a the place to be. Of course, living on or near a golf course is nirvana for many of our residents. Even if you haven’t been the most powerful man in the free world, you’ll find that you’re treated like a king at all the local facilities. When you start to scout real estate here, some of your most difficult decisions will be choosing between communities in places such as the La Quinta Resort, with its three courses (2 public, 1 private at the Citrus), tennis courts, and other fine facilities. Boasting three courses and some 10 different communities tucked in, around and near the golf courses, there is a lot of variety available. Everything from large custom homes at The Enclave to the La Quinta Resort Spa Villas condos make ideal locations for golfers and anyone looking for an active lifestyle. There are many other communities I should mention, but I’ll leave them for a future post. For now, let me just point out our free golf resource guide download. Who knows, maybe the president has a copy on his laptop right now, so when you push the download “button” you could be in very good company. A Mixed-Use Development for La Quinta? Desert living, and the communities here, have always been a fascinating microcosm of the United States. Over the years, people have come here from everywhere—from as close by as the glitzy Hollywood hills to as far away as the snowy Northeast and beyond. A development recently proposed for Old Town La Quinta might bring another dimension to life in this area—a mixed-use “live and work” project (click here for more information). Many US urban centers have been revitalized in recent years by an influx of affluent home buyers who want to live in the city core for the sake of convenience and being “close to the action.” This has led to developments with retail on the ground floor and condos up above. It has been successful in a number of cities. It will be interesting to see how this project proceeds. It would certainly be a good addition to all the other great options home buyers have in La Quinta and the surrounding communities. Further, we think everyone would enjoy the kind of retail stores and restaurants that typically come with these kinds of projects. People have been doing interesting projects in our area for generations and one name that has been prominent is Indian Wells. 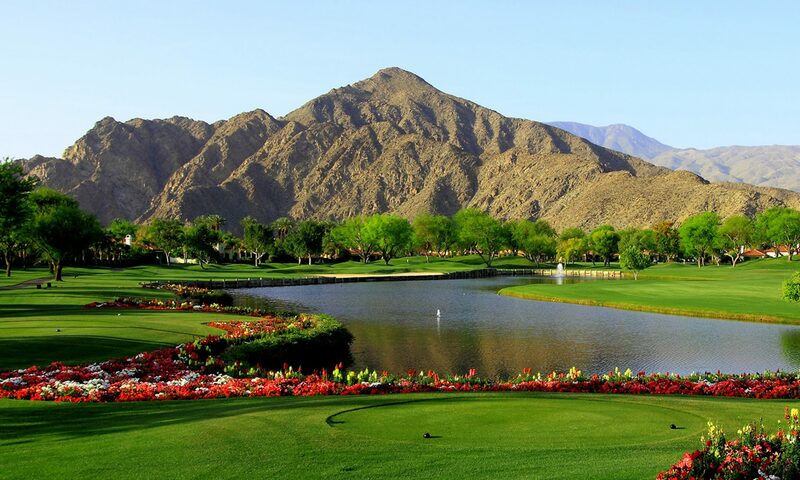 The Indian Wells Country Club has been host to avid golfers since 1956. Everyone from retirees working to lower their handicaps, to celebrities, to the world’s greatest professionals have played the club’s two courses. Folks looking for property in the area will discover a wide range of homes in communities such as The Reserve, Toscana Country Club, El Dorado Country Club, Vintage Country Club, Monte Sereno Estates and the Indian Wells Country Club itself, among others. With everything from condos to 8,000-plus square foot homes available, there is really something for everyone in and around Indian Wells. A great place to start your adventure is with the search feature on our website and be sure to have our Golf Resource Guide handy as well so you can get an overview as you explore properties and communities. The BNP Parabas Open Tennis Tournament is happening now through March 16! Are you coming? If yes, we hope you enjoy everything that Indian Wells has to offer. We hope, too, that you fall in love with the great city and surrounding area so much that you decide to move here and be part of our great community. The Indian Wells Tennis Garden has just completed an ambitious site expansion with the addition of “Stadium 2” which seats an additional 8,000 fans. This brings the Garden’s total seating capacity to 41,485, a 17% increase. Tournament officials expect over 400,000 fans to enter through the gates this year! Aside from the addition to Stadium 2, the grounds have been expanded and upgraded as well with the addition of over 400 palm trees and 16 acres of new grounds to hold the 17,905 new shrubs and plants! It was already a world-class experience and now it’s a bucket list experience! Aside from the aesthetic upgrades, there have also been three high caliber “pop-up” restaurants added for the tournament fortnight: Nobu, The Chop House and Piero PizzaVino. Anybody visiting the gardens this week will enjoy an an amazing experience. The perks for Indian Wells don’t stop at the Tennis Garden either. Purchasing Indian Wells Real Estate also gives residents substantial discounts and access to hotel pools at all four hotel properties, world famous spas, fantastic restaurants like the The Vue Bar and Grill, and deep discounts to the highly acclaimed courses at the Indian Wells Golf Resort ($35 per round for the winter season!). Other local restaurants include Don Diego’s and Vicky’s of Santa Fe. Toscana, located in the heart of the Palm Springs Desert Resort Area. Eldorado, a picturesque cove at the base of the Santa Rosa mountains. The Vintage, inside a cove at the base of the Eisenhower Mountain. The Reserve, with bungalows, casitas, villas, and Sea Pines real estate homes. And, exploring the iconic Indian Wells Country Club is like taking a walk through history, where some of our greatest presidents played golf. If you have questions about how we buy houses Indianapolis and are curious to learn more about the real estate opportunities here in Indian Wells, or ready to see some property here, please click below and get in touch with us. We look forward to hearing from you! The La Quinta Resort was named a Gold Medal Tennis Resort by Tennis Resorts Online. This online site ranked The La Quinta Resort as the No. 8 best tennis resort in the world. It also named The La Quinta Resort as having the No. 4 best setting in the world. These rankings are based on reviews in 14 categories of excellence. For the “TENNIS OVERALL” category, the Resort received the highest possible rating of 5 tennis balls. The Resort also received superior ratings in the categories of lodging, cuisine, spa & fitness, romance, kids programs and other recreational amentities. What a wonderful accomplishment for the La Quinta Resort! For the entire write up go to www.tennisresortsonline.com.